Here’s a tip you will want to keep to yourself: Don’t go to Don Juan’s new-ish Olympia location. Instead, make the pilgrimage to the original Tenino spot. It might not have the fun bar and quirky ambiance of its counterpart, but it also does not have a one hour wait. Calculate in travel time, and you’ll still be in and out of Tenino before you’re seated in Olympia. What stays the same in both locations is the overall quality and professionalism. Many maintain Don Juan delivers the region’s best Mexican food, something I largely agree with. This is how a tortillaphile deserves to be treated. 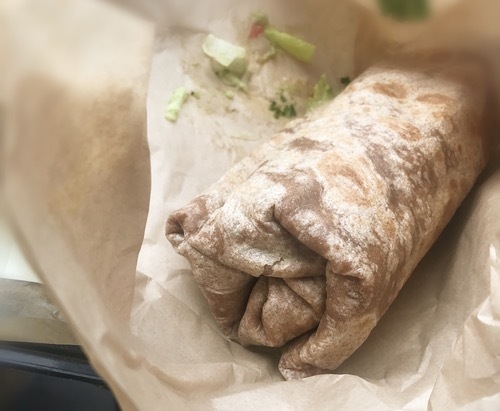 Don Juan’s take on the California burrito — the focus of this dissertation — combines traditional flavors with a fairly unique twist on CaliMex. A burrito with French fries? Potatoes can be a staple in the California burrito, so I’m sure fries aren’t unheard of, but it’s an appreciated touch all the same, and not something you see every day. The flavor profile works well, and the fries aren’t too soggy, even when snuggly wrapped in a blanket of beans. Flanked by rice and cheese, you get a clean base palate, with none of that unseemly mush we so often have thrust upon us. It makes for a good foundation for the carne asada, but that can be irrelevant if the main attraction is bland and improperly prepared. That is not the case here. The meat is nicely charred with a good bite, and the flavors are — and I don’t care if this brings me to hyperbolic levels — exceptionally deep. Everything melds together in harmony, each note crystal clear by themselves, but angelic when brought together in crescendo. 1 FYI — on the happy hour menu, though every other item holds the same quality. 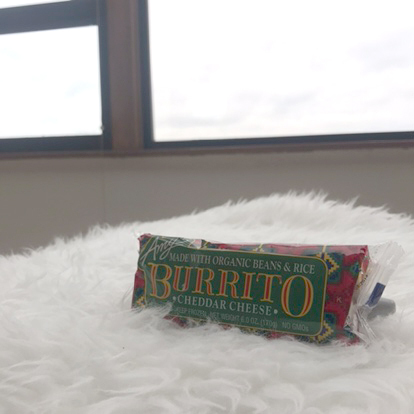 The world of frozen burritos is a cold and desolate place, but once in a while, rare as it may be, a beacon of relative happiness appears out from the grocery aisles. Don’t get me wrong, you won’t confuse Amy’s Cheddar Cheese burrito with the real thing. Barrio won’t be losing sleep, nor will your local taco truck need to diversify. As far as a guilty side trip through the frozen tundras of your grocery store goes, though? Hey, we all get hungry and desperate now and again, so you might as well make the best of it. Amy’s success largely comes down to its lack of whimsy and wacky. You don’t need to look further than evol. to see how Big Frozen Food is gunning for the young, hip tortillaphile market. Amy’s is different. Restrained. Dignified, even. You simply get the three advertised flavors: cheddar, rice, and refried beans. You can actually distinguish the flavors in the burrito; it’s not just one big mush, even when microwaved. (Note that it’ll take 50 minutes to prepare this in the oven — that’s a long wait, and it defeats the purpose of possessing a layman’s burrito.) So often we have to settle for a tortilla filled with sodium. That’s not the case with Amy’s. I would go so far as to recommend keeping a small cache of these in your freezer. When you’re too busy to throw something together yourself, and heading out is out of the question, Amy’s will do just fine. There are reasons to dislike Hearthfire, but I wouldn’t go as far as naming the taco one of them. One might feel a little dirty going here due to Anthony’s proprietorship, but the aforementioned view and atmosphere sort of make up for it. 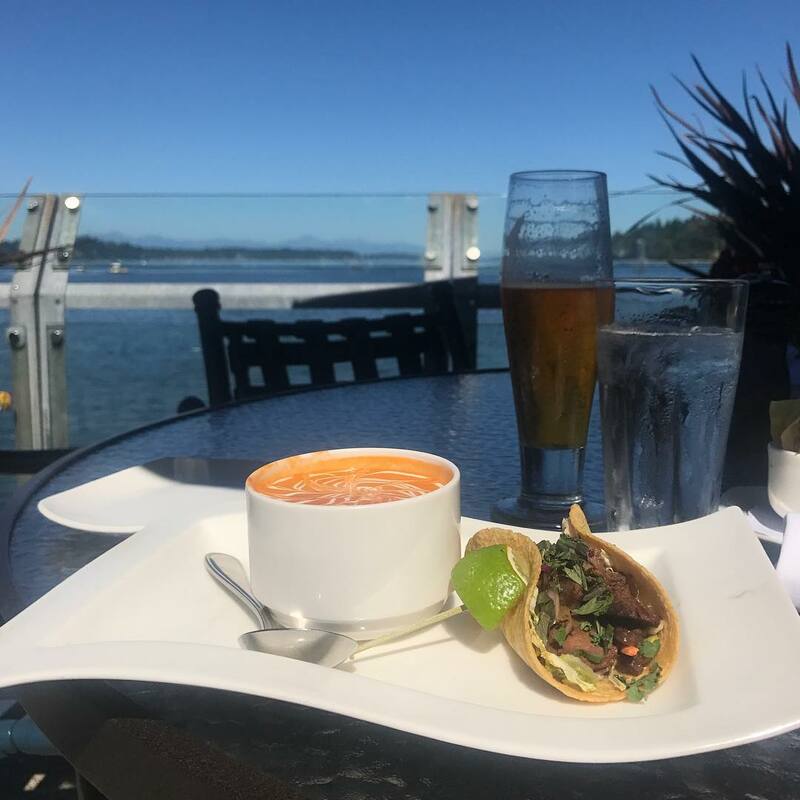 Get deck seating and you will be hard-pressed finding a better view than the straight-on glory of the Olympic Mountains. I could probably get into a whole thing about preferring a local establishment to a chain restaurant, but this is the world we live in, so let’s all just carry on. The taco. It’s not horrible. I’ve had worse. It’s not one a tortilla aficionado will swoon over, but then, when you go for the view and an inoffensive meal (quite probably with out-of-town guests) it will at least soothe your cravings for a while. 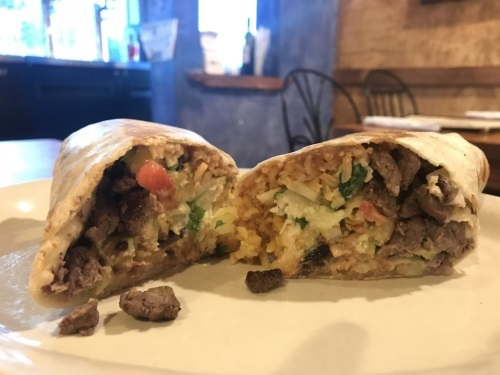 Based around charred sirloin steak, the taco comes wrapped in a perfectly average corn tortilla. I’m a little saddened they didn’t go with the more traditional two-tortilla base, but what can you do? That aside, the cabbage is actually the stand-out of the show, adding just a light kick of acidity. Props, too, for the pinch of basil on top — very avant-garde. There isn’t a whole lot more to say about the taco. Not really. Although, do notice the singular use of taco. Steak Taco Combo is a bit of a misnomer. My assumption would be a combo of two tacos1, but instead, the name refers to the accompanying tomato basil soup. That would be OK in theory, had it not been for the sodium-bath the soup is. I wouldn’t bring anyone to Hearthfire to wow them over Olympia’s cuisine, but the view is hard to beat. It is somewhat of a destination in that sense. Even inside, you have huge windows pointing toward the mountains. That could just be the differentiator to make up for an inoffensive meal, but then, should you rather decide to explore the culinary avenues of life, you probably will want something more. 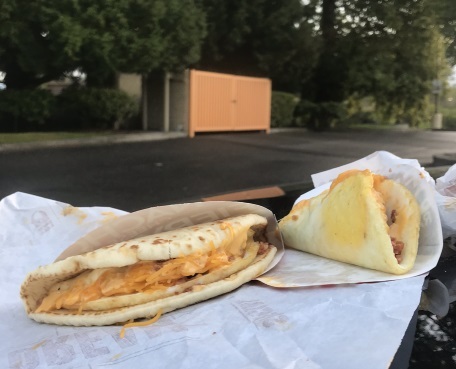 1 You can get an additional taco for a whopping $3 extra. Throw your inhibitions aside, and embrace your inner urges: This is Tortillaphilia, a site for those who have a special relationship with anything tortilla related! Copyright © 2007–2019 Tortillaphilia. with special thanks to Michael McDonald.